Thursday January 31, 2019-Barely a day after the Directorate of Criminal Investigations (DCI) issued arrest warrants for 130 people in connection with electronic fraud of hacking into commercial bank systems; details have emerged on how hackers steal billions from our bank accounts. One of the methods used by hackers involves employees or former employees with intricate knowledge of dormant accounts from which money can be siphoned out without detection, or even gaps in the system. They rip off a little amount from thousands of accounts without detection which grows into millions if not billions of shillings. Another racket entails gaining unauthorized access to the core banking system to make suspicious deposits and subsequent withdrawals from multiple accounts. In another scheme, mobile money users receive an anonymous message on a certain transaction. Once they click on a link provided, they unknowingly install a malware that harvests login information and passwords. Hackers are then able to gain access to the account and empty it. Speaking yesterday, DCI George Kinoti has urged Kenyans to be high alert to prevent hackers from accessing their accounts and emptying them. 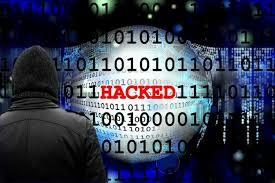 “Hackers have stolen billions of shillings from innocent Kenyans. Financial institutions are suffering because of these suspects’ actions,” Kinoti said.